By definition, a crisis happens quickly and in unexpected ways, but with a professional crisis communications plan in place, it's possible to bring some order to the chaos. The keys to crisis communications success are anticipation and preparation. It's important to take the time to think exhaustively about what could go wrong, before it goes wrong. A comprehensive crisis communications plan is crucial to successfully navigating a difficult situation – and, in some cases, preventing a crisis before it happens by identifying a company's vulnerabilities and providing recommendations. A public relations firm specializing in crisis communications should be able to work with your company, organization, or institution to plan for what could go wrong with products, brands, employees, and executives. This process takes time, careful study, and close cooperation. As a crisis PR professional, it's important to spend time to really get to know the client and to identify key players who will be in charge of messaging when a crisis hits. Always, always have a backup spokesperson or two. You don't want your primary spokesperson on vacation when disaster strikes. In any crisis, it's important to make sure there is a clear line of command when it comes to who is making decisions and who is communicating them. It should be very clear who's in charge during the crisis. Knowing when not to speak can be as important as knowing when to speak during a crisis. It's also important to think about internal vs. external communication channels when dealing with a crisis. There is often a big difference between the information that your own people need for their health, safety, or peace of mind and the information that should be released to the general public. To prepare a crisis plan, your crisis PR team will dig deep into your company or organization so they can anticipate things that could go wrong. Don't be afraid to put a scenario on the table. When it comes to crisis planning, there are no dumb scenarios. For many crises, the PR response will be fairly similar. But it's still important to work through those scenarios and look for possible ways to improve the response. The next step is to draft the crisis communications plan, which maps out the response to any anticipated crisis. Make sure things seem workable to the people who will be carrying out the plan. Be sure to identify and connect with those other businesses and first responders you and your crisis management preparation team identify as likely being needed or involved during a crisis. The ideal time to do so is not in the midst of a crisis. Be a good neighbor. It's important to be a good corporate citizen and you never know when you'll need your neighbors. 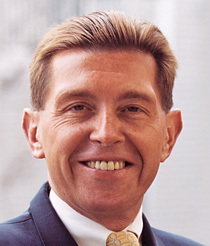 George Regan is president and CEO of Regan Communications Group.